we rescued our wonderful Nola (a mix breed dog- we suspect she is a Carolina Dingo) this past December. She is absolutely wonderful and from the minute we saw her she has been a member of our family. Our boys fell in love with her and she is truly wonderful. Rescueing her was a family decision that we all felt was the best thing and we are soooo happy that we did! We love our Nola! Woot! Lucky for trouble!! Rescue is most definitely my favorite breed!! So awesome that Trouble is a rescue!! Both Dandy and our previous dog Buddy are also rescues!! Dandy came to us via The AZ. Humane Society -- he was left abandoned in the streets and was days away from being put down when we adopted him ... and Buddy our old Beagle, came to us via The AZ. 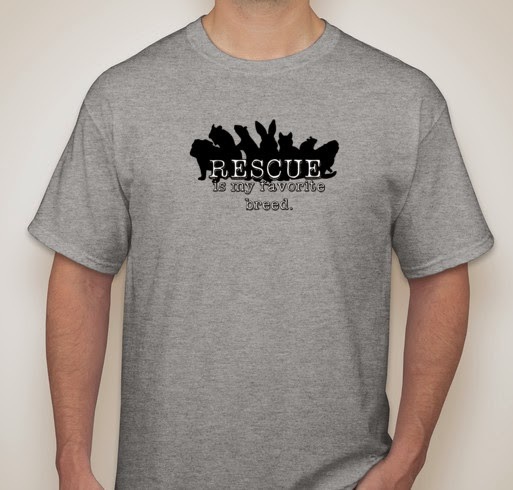 Beagle Rescue :) We love our babies and I love that shirt!!!!!!!!!!!!!!!!!!! Two rescues in our home currently.... Your guess is as good as mine for the historical number! Does Trouble's fur feel as luxurious as it looks? :-). My bunny Juniper was rescued from the House Rabbit Society in Richmond. 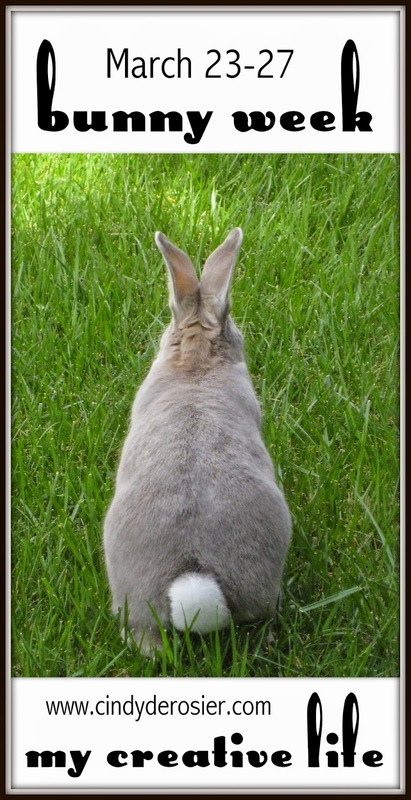 Her predecessors, going way back in my life, have all been rescue buns directly from the streets or from shelters. I know no other breed! Yes, his fur is amazing. He's pillow-soft everywhere, but he has a patch under his ears that it like silk. We save the downy we comb out to leave for birds' nests. Every time we've found a nest in our yard, it's been lined with Trouble's fur. Over the past 36 years of our marriage we have rescued a few breeds. We now have Felix our beloved rescue cat. Felix was our first ever cat. He is 12 years old. We named him Felix because when we rescued him we had also had a dog - Oscar. Oscar and Felix were bust of buddies. Oscar has since passed away. Rescue IS the BEST breed indeed! I forgot to mention that we also had a rescue rabbit when our girls were growing up. He had the run of the house too except at night he slept in a crate in one of our daughters bedroom. Such good memories. I love hearing stories of Trouble! Trouble hopped his way into your hearts! 3 cats, 1 rabbit and many guinea pigs (they can get pregnant within 8 hours of giving birth and the shelter didn't separate them fast enough). We have adopted and/or rescued Priscilla, Dusty, Sawyer, Boo, Cali, Austin and Dakota. All kitties and one dog (Dusty). We gave them a home, but they gave us so much more in return! Sophie is a rescue dog. The family we got her from didn't want her anymore because their sons went to college and she was "their" dog. I will never understand it, but their loss is our gain! We rescued two dogs...and they gave us 2 puppies who were with us for about 15 years. My New Zealand White was a rescue. It's the only way to rabbit!